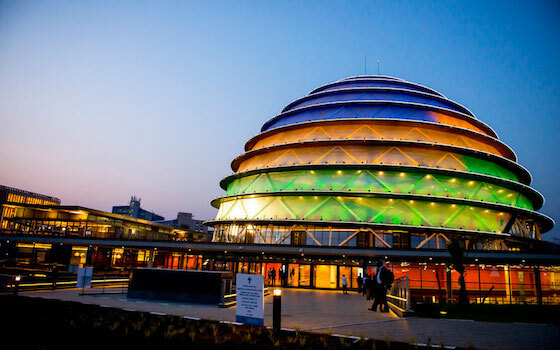 After lengthy negotiations over the quality of service, the Kigali Convention Center and Radisson Blu Hotel have signed two-year deal with Tigo Rwanda as a sole provider of ICT solutions to the largest conference venue in the country. Tigo will avail bulk Internet bandwidth services via Korea Telecom Rwanda Network (ktRN), fully backed up by multiple local fiber rings and international upstream routes. In addition, Tigo will also provide mobile voice, data and 4G communication services for the 162 KCC employees. A source told Taarifa the deal is worth close to a million dollar. We learnt that these services were previously being supplied by Airtel Rwanda, but due to apparently “high prices and poor service delivery,” Airtel lost the deal. A source at Airtel Rwanda who spoke off the record said indeed they supplied those services, but something happened and “we lost the deal.” A person handling that account was hired by Tigo and managed to take KCC to Tigo from Airtel by “undercutting the price by 50%”, because of the knowledge regarding the contract. However, Tigo says it is in business and not charity. “Why would we do such a thing, we cannot sell at a loss,” a source at Tigo says. We have learnt the person has now been snatched by MTN, but Taarifa cannot mention the person for professional reasons. Meanwhile the source at Airtel said that it is understandable that Tigo would go after such an arrangement because, “They have no presence in the Enterprise segment, and they are trying to position themselves as entrants in the market segment.” Tigo is largely big in retail segment. MTN is more of enterprise followed by Airtel. In a press statement issued after the signing of the deal, Denis J.Dernault, the General Manager of KCC and Radisson Blue Hotel Kigali, said that it is a unique opportunity that will enable their customers to have a world class experience in Rwanda. “The solutions offered by Tigo have come to the right time,” he said. KCC is currently hosting largest ICT event in the Africa; Transform Africa Summit, where the Smart Cities Blueprint was launched earlier on Tuesday morning. A source knowledgeable about the deal said Tigo will be providing 110mbps connectivity via fibre, offering a unique experience of fast speed internet. For some participants, this is experience comes as not only unique, but reflects Rwanda’s advancement in terms of ICTs. Regardless of the drama in this deal, Tigo is already taking full advantage and offering solutions that are making the whole event look “Smart”. They are have developed an online food menu that will allow Radisson Blu customers to directly place orders for themselves using tablet computers right from their tables and deploy intelligent screens for digital advertisement and entertainment. Inaugurated in July 2016, KCC offers a seating capacity of over 5,000 including state of the art Auditorium and Radisson Blu Hotel with 292 rooms.